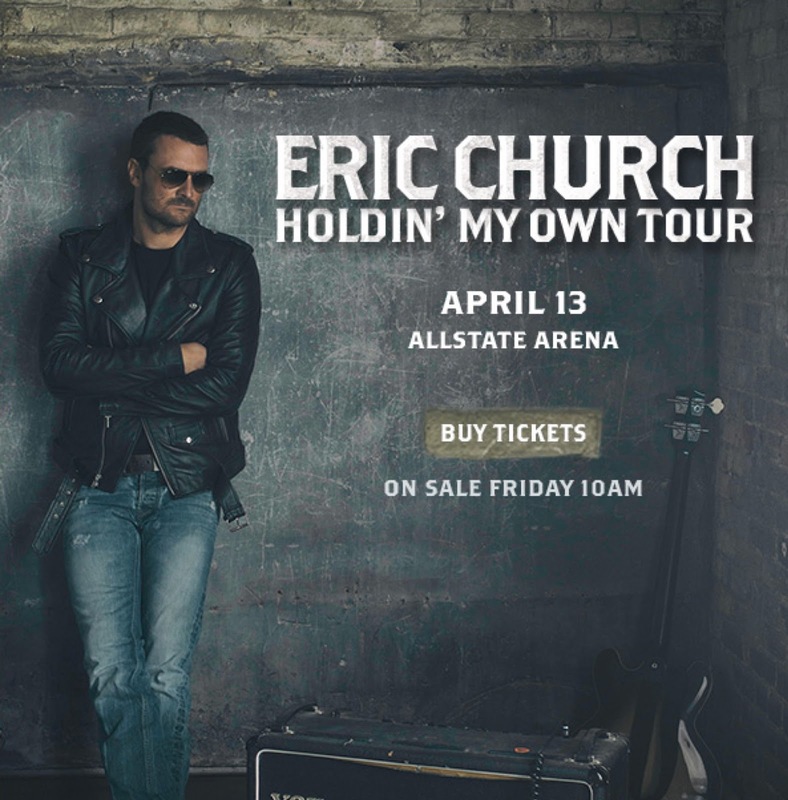 Eric Church will bring the “Holdin’ My Own Tour ” to Allstate Arena in Rosemont, IL on April 13, 2017. Tickets go on-sale Friday, Sept 16 at 10AM at www.ticketmaster.com or via phone/TM Mobile App. For the first time ever, there will be no support act on this tour. Eric Church and the ECB will play two full sets with an intermission in between. In an effort to ensure his core fans get great tickets at face value, Church is revamping the pre-sale and on-sale process to eliminate scalpers from the equation. “In this era where growing inequality seems to be the norm, we wanted to do everything within our power to put the advantage back in the hands of true fans rather than those that take advantage of the system.